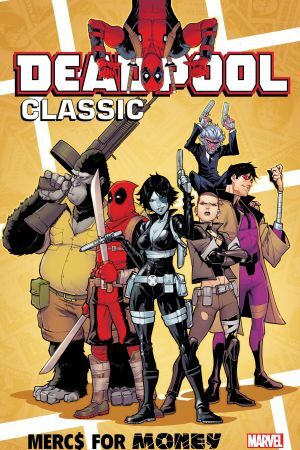 Collects Deadpool & The Mercs For Money (2016a) #1-5, Deadpool & The Mercs For Money (2016B) #1-8 And Deadpool: Back In Black #1-5. 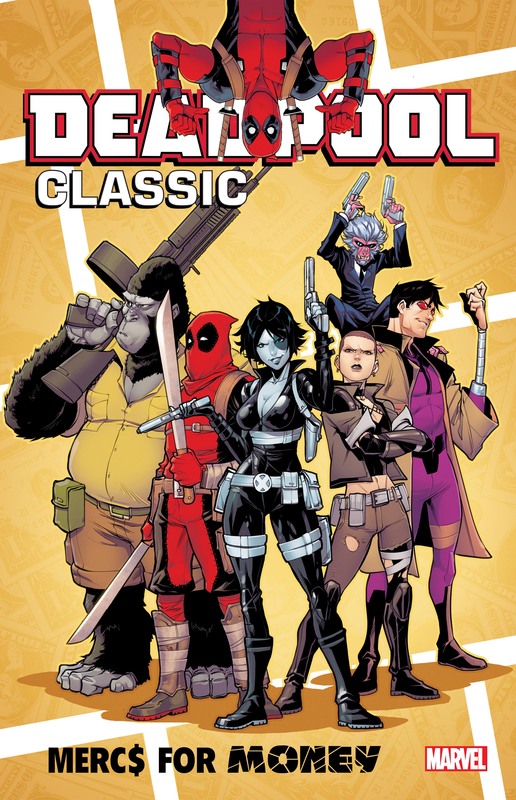 When Deadpool cashes in by franchising out his look, Stingray, Masacre, Solo, Foolkiller, Terror and Slapstick suit up as the Mercs for Money! But they're all about to learn that Deadpool is a terrible boss, and the risky missions Wade assigns just aren't worth the cash he's (barely) paying! Before long the M4M are revolting, and a new squad forms — with Domino calling the shots! Then, remember back during the original Secret Wars, when Deadpool found the symbiotic costume that would later bond with Spider-Man? No? Well, the costume remembers — and months later when Spidey rejects it, the costume tracks down DP again! 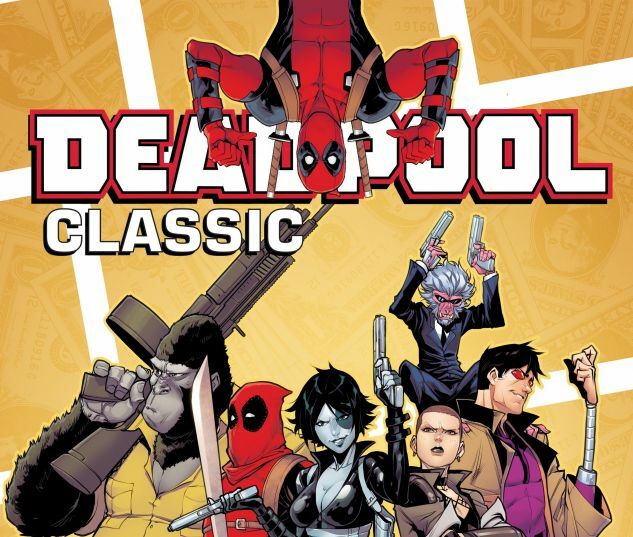 Witness an untold story from Wade Wilson's past as Deadpool goes back in black!